My father purchased this car for $1600 bucks back in 1972 with 45k miles. It was orginally owned by a gentalman who commuted from Madawaska, ME to Millinocket ME, which explains the mileage. I was orginally equiped with an inline 6 and powerglide transmission. It was a burnt orange metallic paint. 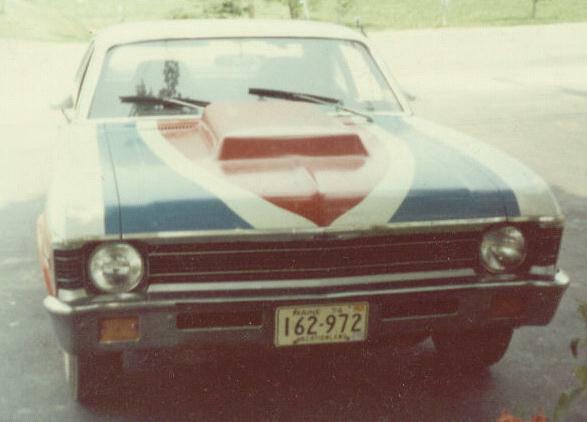 In the years following, dad added a hood scoop, fender flares, and painted it red white and blue. It was eventually painted a solid red after 1976. 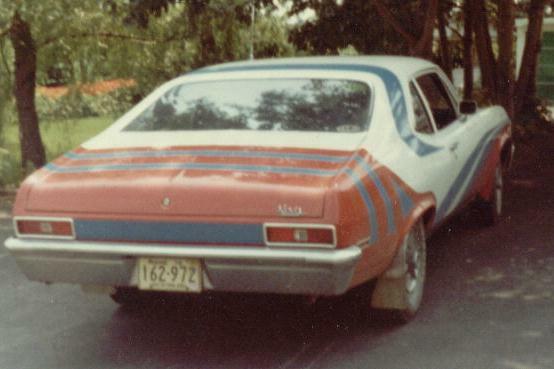 Around 1978 the inline 6 was removed and replaced with a Buick V8, however, the car never was driven and eventually ended up in the back yard. It was sold in 1983 for landfill.